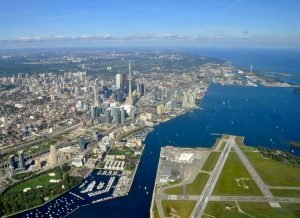 Environmental Due Diligence (EDD) assessments associated with property transactions have gained increased prominence in Canada over the past decade. Stakeholders such as property owners, buyers, financial institutions, realtors and developers depend on the results of EDD assessments to arrive at decisions relating to liabilities, valuations, and potential for future development. The first stage of an EDD assessment is generally a Phase I Environmental Site Assessment (Phase I ESA). This is commonly implemented in accordance with the Canadian Standards Association (CSA) Standard Practice Z768-01 (reaffirmed 2016) guidance for the completion of a Phase I ESA (and province specific guidelines), and/or the E1527-13 ASTM document entitled “Standard Practice for Environmental Site Assessment: Phase I Environmental Site Assessment Process”. A key component of work in a Phase I ESA is a critical and detailed review of environmental regulatory information regarding the site and nearby properties. A review of such information can reveal historical environmental impacts due to releases, possible current threats of releases, and/or compliance issues. As such, this review is necessary to assess environmental concerns and potential liabilities and risks. The mere listing of a site is not necessarily indicative of an issue at or near a site. As such, the listings are reviewed by VTX’s consultants to determine whether or not the listing represents a concern under the CSA/ASTM guidelines. Additionally, regulatory listings can form the basis to obtain more detailed supplementary information from other sources, such as Freedom of Information requests from relevant environmental regulatory agencies. Database listings help identify potential issues that may not be identifiable from other components of a Phase I, such as a site reconnaissance or interviews with the owner/occupier. Obtaining and reviewing detailed database information relating to a site and the surrounding lands provides advantages that can enable stakeholders to assess potential environmental concerns while minimizing risks resulting from uncertainty and unknowns.